Scientifically, we are still not sure about the exact theory explaining the evolution, but according to Hindu mythology, evolution started when Lord Shiva played his instrument, the damru. This instrument around 6 inches in height is typically made with a resonator of brass. It has often been claimed this resonator produced vibrations which gave out spiritual sounds forming the entire universe. The damru also symbolises the male and female unison. The triangular upward representation symbolizes male procreativity and the downward round representation symbolizes the female procreativity. This indicates reproduction, which resulted in the evolution. The sound from the damru beat the ‘Sri Yantra’ into existence. The Sri Yantra is holographic representation of the energy symbolizing Lord Shiva, which means He is the universe. 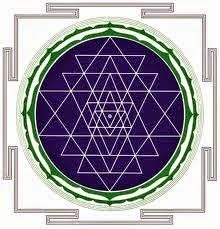 Sri Yantra is also often claimed to be the pictorial representation of ‘OM’. Interestingly, the ‘String Theory’ which many say would explain the existence of universe and the ‘Theory of everything’ is also based on the holographic principle which is a property of string theories and a supposed property of ‘quantum gravity’ that states that the description of a volume of space can be thought of as encoded on a boundary to the region. All Indian musical instruments have such fascinating stories behind them. 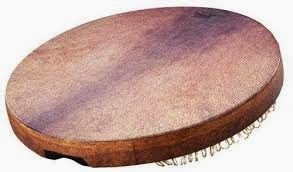 There are a lot of instruments from the ‘damru’ family such as tabla, dholak, dafli, daf, dayereh, defi, dhyāngro, etc. 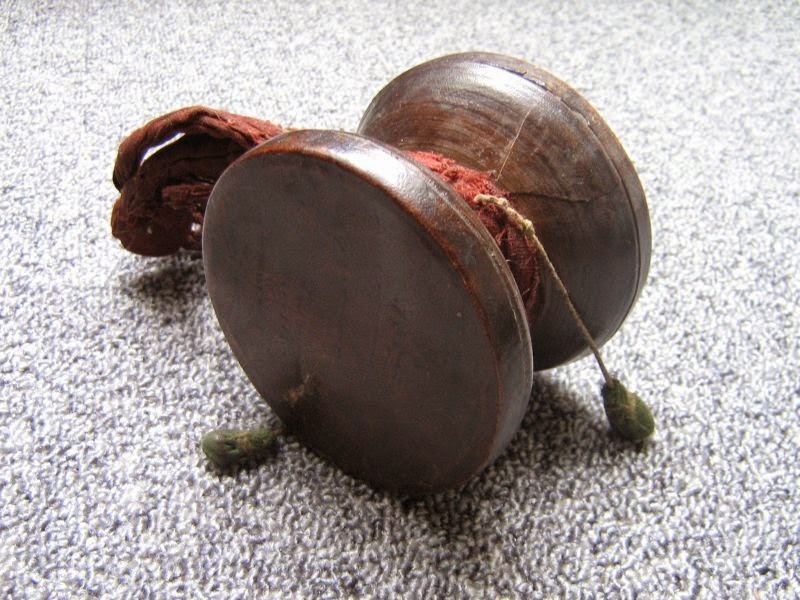 Daf is an instrument which is used in many countries for celebrating different occasions. India has an interesting story about how the ‘daf’s’ came into existence. It has been claimed that some Dalit community members were butchers in the olden days. As they didn’t get an equal social standard they had to work a lot, even in unhygienic conditions at times. They were not even allowed to live in proper homes. No one bothered to see if these butchers had proper waste disposal methods for the wastage. The story goes that the cows’ skin which remained as a waste was flung away by a little kid and it landed on a round wooden piece in the form of a ring. The cow’s skin is very sticky, which stuck to the ring. Accidently, someone walked over it and realized that the object produced an attention-grabbing sound. They observed the object and understood the mechanism that produced the sound. They started making a lot of daf’s with different leathers. Goat skin is also used for manufacturing a daf. I really like this story as it shows creativity is prevalent everywhere. Just like Shivji’s damru and His music. The Dalit community still loves their ‘daf’ and still play it with great gusto. It is played as a part of the Dalit revolution. I really like the sound of the daf which is both calming and exciting, according to the pace at which it is played. This simple instrument can produce a lot of different sounds and rhythms. The earth is round like a daf and we all are the same. We may have different rhythms and beats, but ultimately we are all the sound of the same big round planet. Why should we discriminate then? Why not enjoy different rhythms from different people like different sounds of music? Today is 14th April, Ambedkar Jayanti; which celebrates the birth anniversary of Dr B. R. Ambedkar who was a great Dalit leader. He was the chairman of the Drafting Committee of the Indian Constitution in August 1947. Today we celebrate his 124thbirth anniversary. A Google doodle has also been published today to mark this glorious day. It is customary for senior national figures, such as the President, Prime Minister and leaders of major political parties, to pay homage at the statue of Ambedkar at the Parliament of India in New Delhi every year on 14th of April. Today is indeed a wonderful day to celebrate world peace and harmony remembering this beautiful spirit.